We’ve got some amazing speakers and artists joining us at Dare 2 Share LIVE this year—Greg Stier, Zane Black, FLAME, The Skit Guys, Shane & Shane, and now, a world-famous dance company will also be on the LIVE stage! That’s right. The Silhouettes will be joining the Dare 2 Share LIVE lineup on October 13. “We’re thrilled to have The Silhouettes joining us at Dare 2 Share LIVE to help us portray the message of the gospel through their powerful shadow dance performance,” says Dare 2 Share president Debbie Bresina. 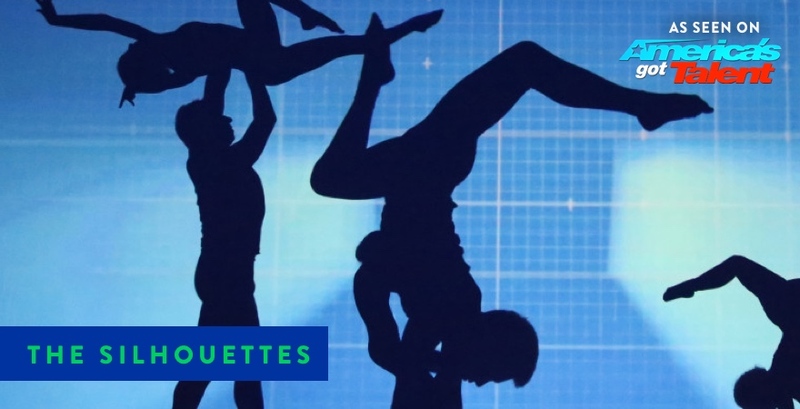 The Silhouettes are a Denver-based dance company known for their beautiful performances that leverage light, shadow, photographs, and skilled choreography to tell powerful stories on stage. The dance company rose to fame during Season 6 of NBC’s America’s Got Talent (AGT) when they finished as first runners-up out of over 100,000 talent acts. Dancers in The Silhouettes are all students under the age of eighteen, and their mission as a company is to use their gifts and talents to benefit homeless or abused children. Here’s a dance that The Silhouettes performed in 2016 on AGT. The Silhouettes grabbed the hearts of America through their powerful dance performances on AGT, and in the same way, we pray that their performance at LIVE will grab the hearts of every attendee across the country, reminding them of the power of the gospel and inspiring them to share it. You don’t want to miss out on this incredible day of gospel training, inspiration, community service, and FUN! If you haven’t purchased your tickets to Dare 2 Share LIVE yet, head to our Locations page to find your closest satellite site. See you there!